Partnerships for Forests is supporting Benso Oil Palm Plantation, the Proforest Initiative Africa and communities in the Adum Banso landscape to transform the oil palm sector: piloting a replicable production-protection model that is commercially viable, socially responsible and environmentally sustainable. 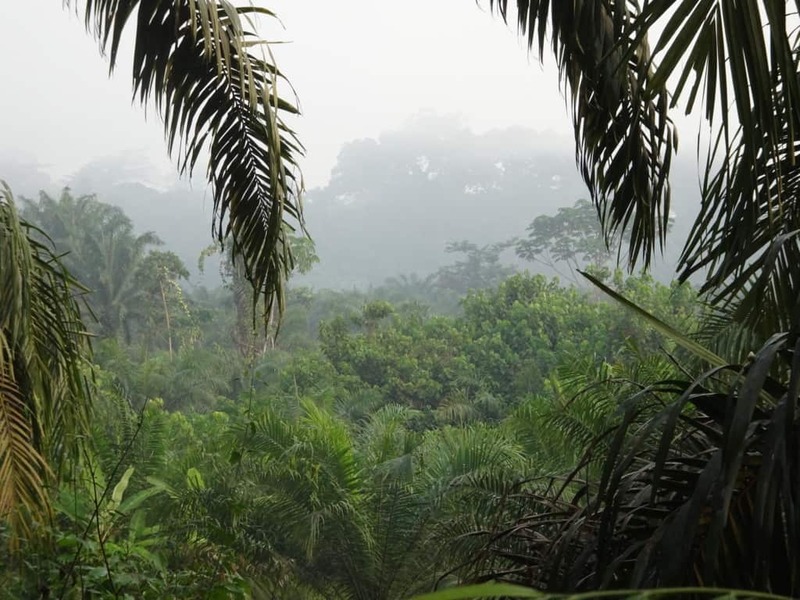 Global demand for palm oil is growing and is expected to increase by 5 percent each year – reaching 72.9 million metric tonnes in 2020, and 120-156 million tonnes by 2050. Given the fixed and limited area of land available, the most practical way to meet demand is to improve the productivity of existing farms. More than 80 percent of oil palm Fresh Fruit Bunches (FFBs) in Ghana are produced by independent smallholder farmers. Their productivity is between 30-50 percent that of large plantations. With plantation expansion threatening forest frontiers, oil palm companies need to work closely with smallholders to sustainably increase yields. Benso Oil Palm Plantation (BOPP), a subsidiary of Wilmar Africa Ltd., is a leading agro-industrial company in sustainable oil palm production. BOPP has over 40 years of experience in the sector, working with communities and smallholder farmers to develop sustainable oil palm outgrower schemes. In 2014, BOPP was also the first industrial plantation company in Africa to achieve the Roundtable on Sustainable Palm Oil (RSPO) certification. Which it gained in partnership with Proforest under the Sustainable West Africa Palm Oil Programme. Partnerships for Forests is supporting a partnership between BOPP and the Proforest Initiative Africa. Working with local communities in the Adum Banso landscape to design a replicable and sustainable oil palm model that is commercially viable, socially responsible and environmentally friendly. The project aims to eliminate deforestation footprints within the supply chain, whilst delivering socio-economic benefits to communities. Farmers will be trained and given technical support on environmentally sustainable production and social best practices, in order to meet RSPO standards. Partnerships for Forests will support the establishment of a functional Community Resource and Environment Management Area and Landscape Management Board to oversee forest protection. A participatory process with local communities will further strengthen forest protection; communities will be offered sustainable production-protection agreements as conditional incentives for additional livelihood options (following Free, Prior and Informed Consent principles). These activities will reduce pressure on the local landscape, including the nearby Subri River and Neung South forest reserves – both largely intact and rich in biodiversity. The initiative has the potential to transform the oil palm sector in West and Central Africa region: by designing a replicable model that can be adopted by other regions and land users. It will also provide a platform for knowledge-sharing and learning through the Africa Palm Oil Initiative (APOI). By 2020, this project is expected to bring an area of 20,000ha under sustainable land use and mobilise private sector investments worth GBP 15 million within the landscape.